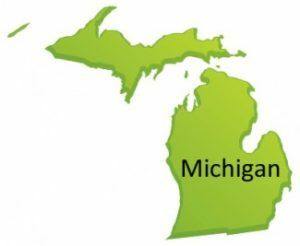 States considering medical marijuana laws should look to Michigan as an example…of what not to do. The medical pot industry in the Great Lakes State is in disarray, with hundreds of dispensaries closing during the second half of 2011 after an appeals court ruled that private shops essentially can’t sell medical marijuana. The reason for the chaos is quite clear: The state’s MMJ laws are extremely vague. The main piece of legislation paving the way for the use of medical pot left some key areas open to interpretation – such as how patients are supposed to get the drug – while other important aspects aren’t addressed at all. Several observers say the law is a complete joke, believing that those behind the legislation had other motives in mind than allowing sick patients to use marijuana. Count Michigan Attorney General Bill Schuette in that group of critics. Schuette has used some bold language to describe the state’s MMJ laws and the entire medical pot movement in Michigan, saying that it has been “hijacked” by those who are only interested in legalizing marijuana for general use. In fact, he believes that the law has so many holes that it makes “a mockery of Swiss cheese,” and he accuses some pot proponents of misleading voters. “If you listen to the comments of the authors of (the law), it was purposefully done vague,” Schuette said. To be sure, Schuette has never been on board with legalizing medical marijuana, and he’s outspoken in his views on the matter. Regardless of his position on MMJ, however, it is hard to argue with the central point of his argument. Michigan’s medical cannabis laws are simply too vague. The states that have really run into trouble with their MMJ laws are the ones that didn’t define how marijuana is supposed to be distributed, as well as those that neglected to set up well-defined regulations for dispensaries and grow operations (hello, California). Several additional states are now considering medical marijuana legislation, while pot groups in other regions are trying to put the issue in front of voters. They might want to look to the debacle in Michigan and attempt to avoid a similar fate by crafting clear legislation that leaves little open to interpretation.